We began our quest with a trip to the ruins of Vaihu, an area where the Island's isolation is truly felt. 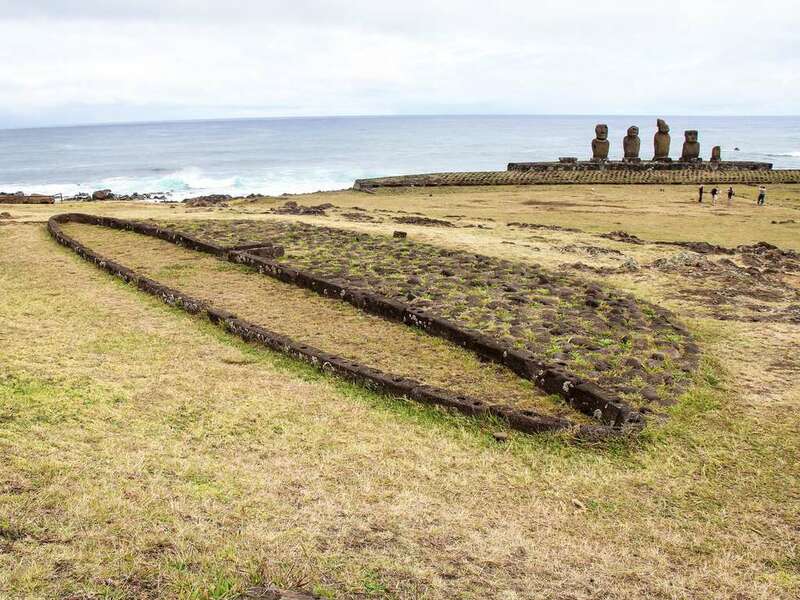 Here, we can see the remains of the once mighty Moai lying facedown, their headdresses scattered across the ground. On our way to Rano Raraku, we visit the ancient remnants of royal dwellings, whose stone walls still stand to this day. 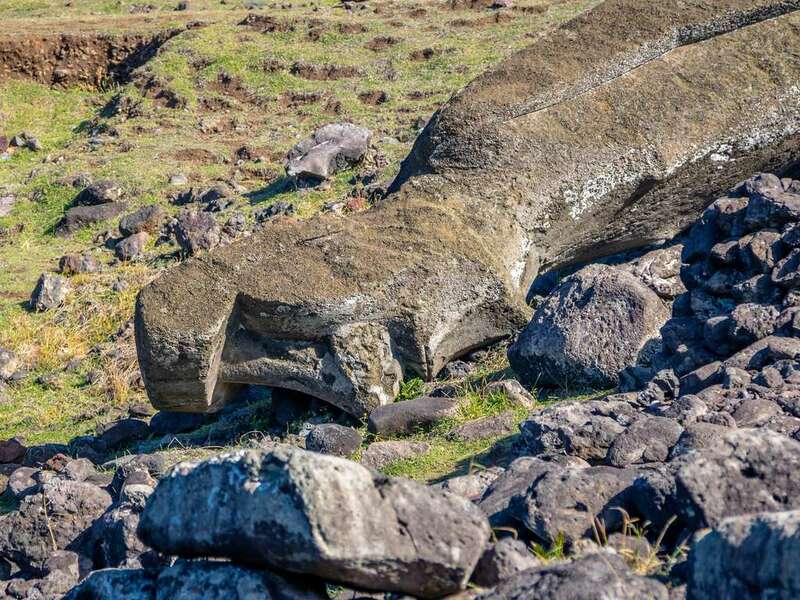 After our visit with royalty, we journey to the epicenter of the Moai culture, Rano Raraku, where this stone quarry represents the starting point for the over 900 Moai that were carved and distributed throughout the island. 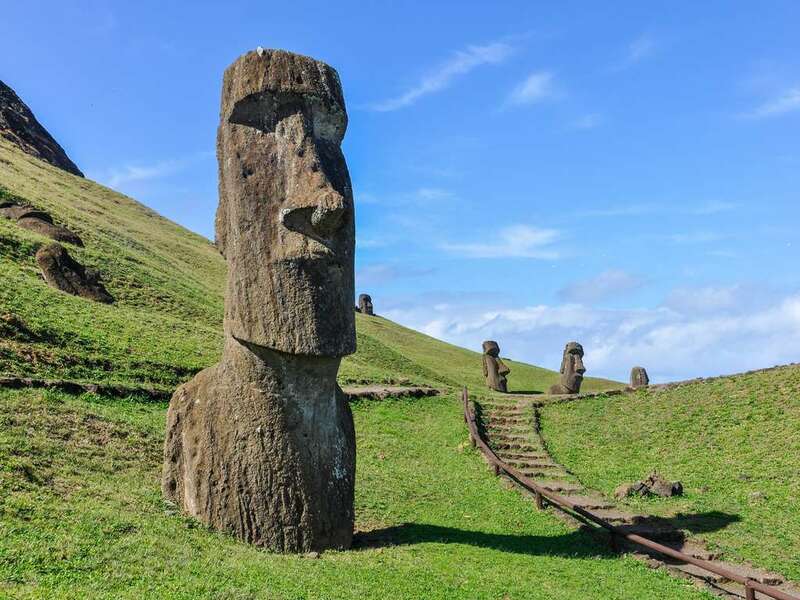 Nearly 400 Moai scattered at the base of this volcano remain in various stages of construction, seemingly abandoned by their makers to remain in this graveyard for eternity. 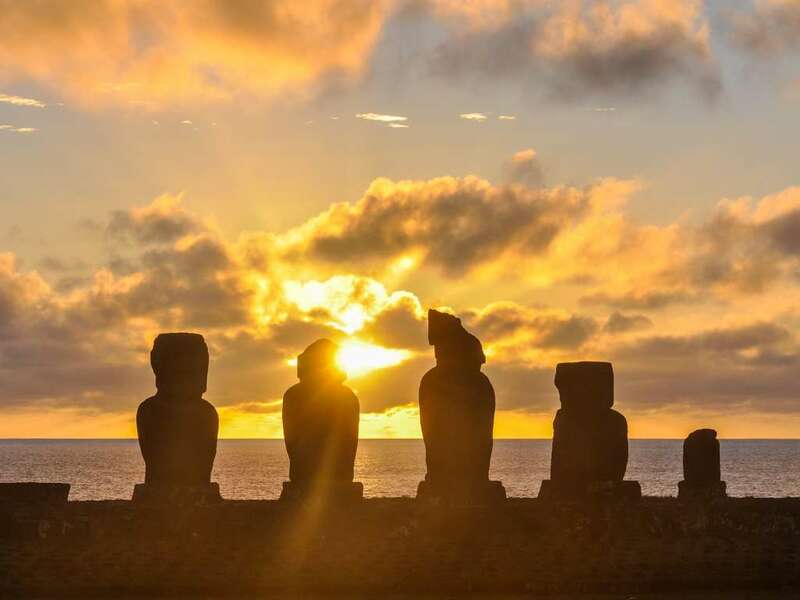 It's hard to imagine anything more impressive than this magnificent place, but a stop to Ahu Tongariki just may change your mind. 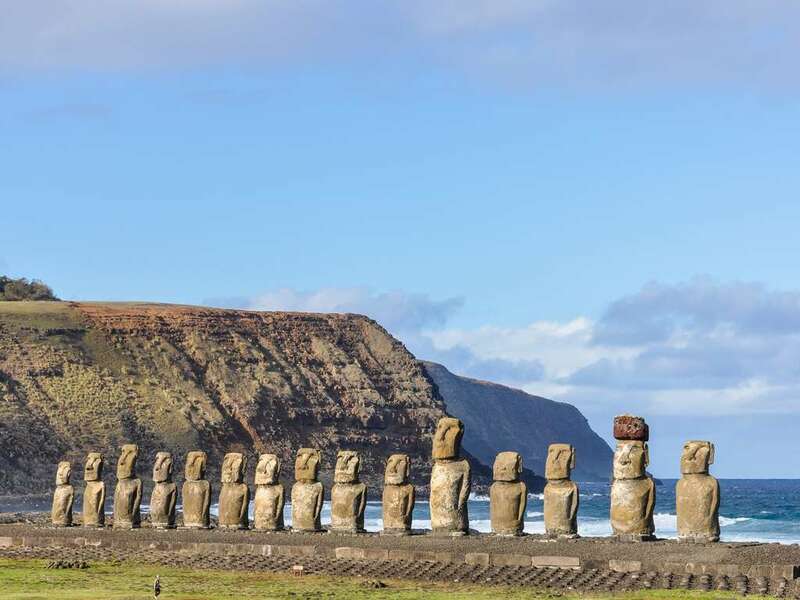 Here stand 15 restored Moai in all of their immense glory, the vivid blue ocean at their backs, forever reminding us of the once great culture that ruled this island. 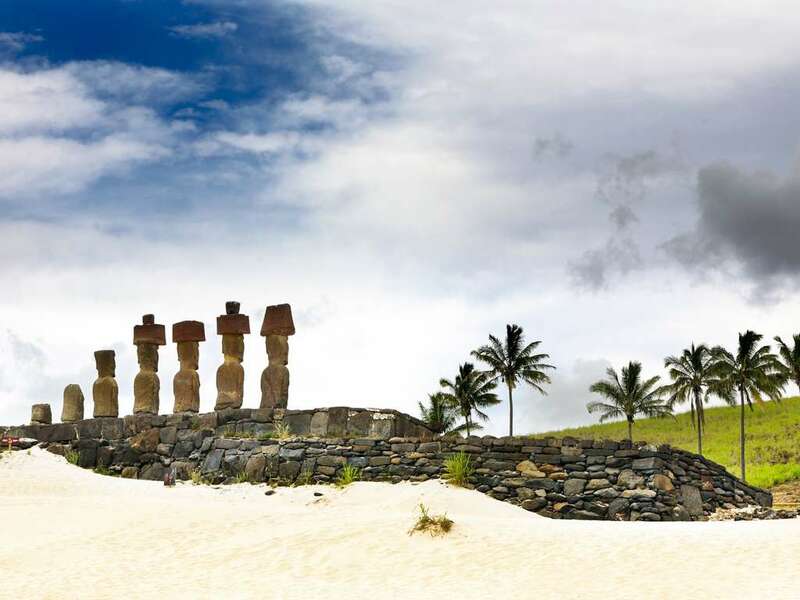 This reminder continues with a visit to Ahu Te Pito Kura, and the remains of a once great Moai, the largest Moai to be erected from the quarry at Rano Raraku, and one of the last Maoi to fall. 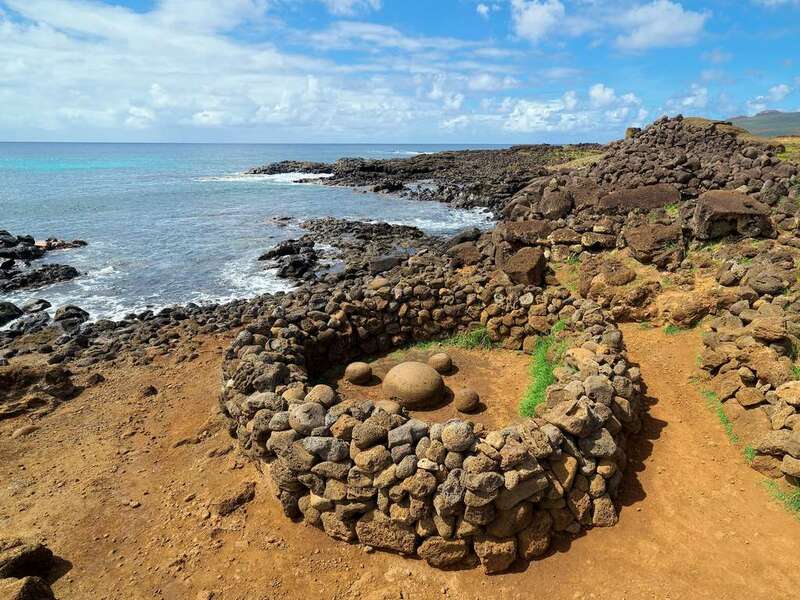 A quick viewing of the Magnetic Stone, a smooth ovoid shaped stone that represents "The Navel of the World", and we head to our final destination, the Moai of the white sandy beaches of Anakena.